God wants you to talk with Him about your struggles, pains, and frustrations, and give Him all your cares in exchange for His peace. 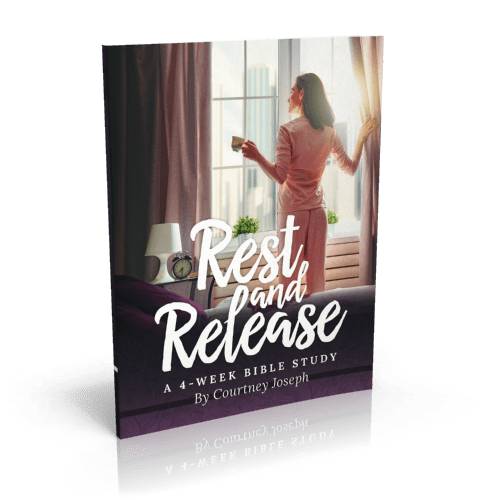 Are you experiencing the green pastures, the quiet waters, and the restoration of your soul that Psalm 23 speaks of, from resting with your Shepherd? Remember how the crowds pressed in on Jesus everywhere He went? Everywhere He turned, there was a need unmet, and though there was so much to do . . . He withdrew to rest. If Jesus needed alone time with God, then certainly we do. Just think of the wisdom He wants to impart to you, the strength and the peace you may be missing out on. Give yourself permission not to have your to-do list all checked off in order for you to rest and get alone with God. Each weekday, I will provide for you a verse of the day, a short devotional, a reflection question and a daily scripture reading. Also, on-line at WomenLivingWell.org you will find 4 videos (one per week) that correspond with the scripture we are studying each week. 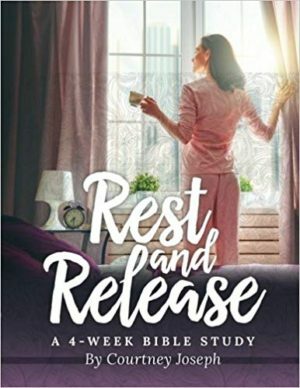 Each week I will provide for you a practical challenge of something I do in my home that helps me rest and live blessed. I hope you will take the challenges. They do make a difference! I pray that your time spent in God’s Word will lead you to rest for your soul and release of your burdens, so you can live a life of peace and freedom in Christ no matter what you are facing. Join me on this journey, as we walk with the King. Find all the free resources for this study here.